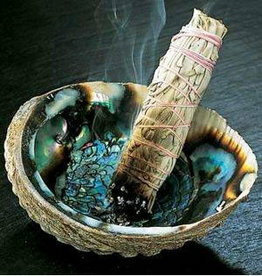 The aged old tradition of burning sage sticks is also known as smudging. This tradition has been practiced for centuries across the globe. Smudging can be performed anywhere that requires energy to be cleansed. The smoke attaches itself to negative energy and as the smoke clears it takes the negative energy with it, releasing it into another space where it will be regenerated into positive energy. The burning of the sage assists with emotional, psychic and spiritual purification. It can also be used in meditation. Our Black Sage Sticks are made from locally grown Black Sage and sage flower blossom. There are tied with 100% pure cotton for safer burning.